Who thought Instagram was easy? At the beginning of the project I can assure you that I did, but here is a surprise for everyone: maintaining and building a brand on Instagram is extremely hard. 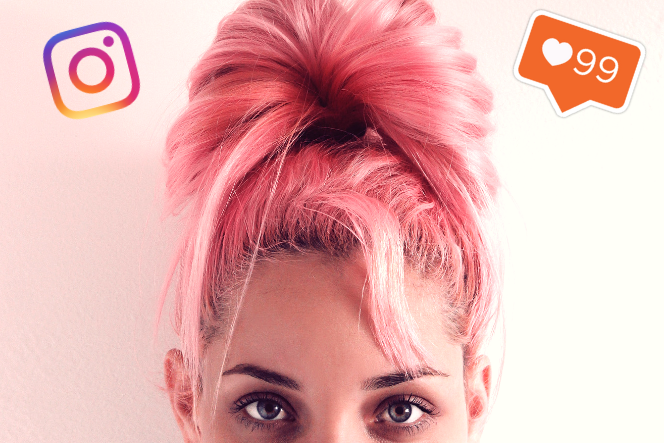 You might think that building an Instagram brand means you only have to upload a few pictures, or simply comment on a few other profiles – but it’s much harder. Oh, my friends, let me tell you this is a lifestyle. Whenever I went to sit down for a bit of relaxing time, I would have this niggling thought in the back of my mind that I should be engaging with my Instagram community. When I was at the gym, I had to be taking photos, looking like I wasn’t a big sweaty mess and that everything was just easy. I was taking photos of meals I was creating, interesting photos of my life and building an image to put out to the Instagram world and the niche I had chosen. I was building a brand for myself. The big learning is that this brand I was building wasn’t me. Instagram means you are building a façade, and from the very beginning of the project I felt this subconscious need to make myself have a more “interesting” life, and to constantly fit these beauty standards. I was manufacturing and manicuring my lifestyle through the lens of my phone. I felt the need to make it better, more interesting. Now I’ve realized that I am allowed to sit and watch Netflix in my pajamas with no makeup on. This can still be a good night. My reflection upon this project is that those who choose to live Instagram as a lifestyle are using this as a primary form of work. I can assure you that their lives cannot always be as glamorous as they appear. Tammy Hembrow and Shani Grimmond can’t always look picture perfect and sweat-free at the gym, or spend their nights attending exclusive events. As I say, Instagram branding and becoming a social influencer is a LIFESTYLE. You need to dedicate a large portion of your life into maintaining and building a brand. This is time we don’t all have. Between being a university student, working three jobs and just living my life, I do not have the time to dedicate into becoming a social influencer. Now, I think I might need to have a social media cleanse after spending all this time on my phone, because it is exhausting!